Please sign in below and we'll send you right along. If you don't have a Team Cowboy account, you can create a new account. Existing customers, please sign in below. Your username is used to sign into Team Cowboy and is unique to your account. Please note that your username may be your e-mail address. 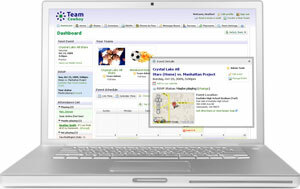 can help your organize your team! Team Cowboy makes it fast and easy to keep your team organized. Creating a new team profile is fast, easy, and free! Get connected with Team Cowboy MatchUp! Find teams or players now! Trying to find your team on Team Cowboy? Please contact your coach or team manager and have them add you to their online team roster, then you'll receive an e-mail invitation. If you may already have been invited to join the team but aren't sure, click here to do a quick search.